In the bowl of an electric stand mixer fitted with a dough hook, combine warm water and sugar. Sprinkle the yeast on top of the water and set aside for 5 minutes. The mixture will begin to foam and froth. Once the yeast and water is frothy, add the flour, salt, and melted butter. Using the dough hook, mix on low speed until well combined. Increase the speed to medium and knead the dough until it is smooth and pulls away from the side of the bowl, creating a ball of dough around the dough hook. Beat on medium speed for approximately 4 minutes. Remove the dough from the bowl. The dough will be soft, pliable, and just a bit sticky. Scrape any residue out of the bowl and coat the bowl with a bit of vegetable oil. Place the dough back in the bowl, sprinkle with flour, cover with plastic wrap, and store in a warm place to rise. Allow dough to rise, until doubled in size, about 1 hour. Place baking racks in the center and upper third of the oven. Preheat oven to 425 degrees F. Line two baking sheets with parchment paper, and lightly brush the paper with oil. Combine water and baking soda in a large saucepan and bring to a boil. 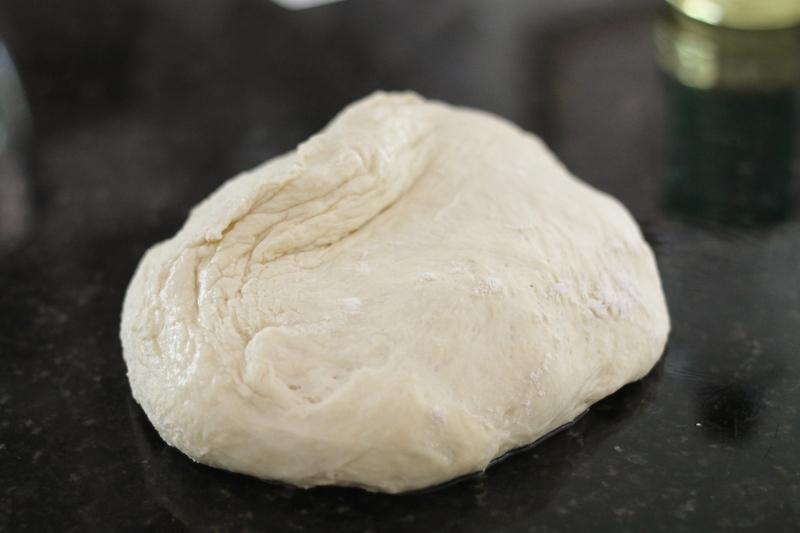 While the water comes to a boil, turn the dough out onto a clean, slightly oiled work surface. Divide dough into 16 pieces. 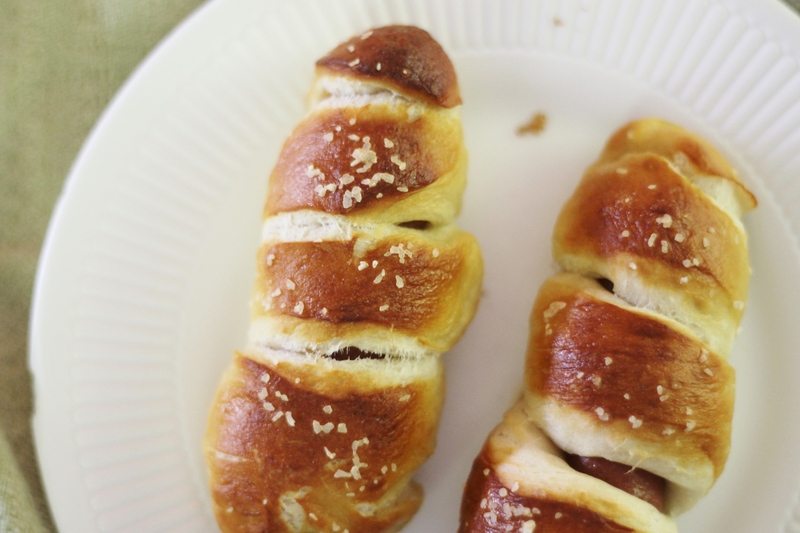 Start with the fingers of both hands in the center of the dough, and roll, moving your hands outward as you roll. Roll the dough along the oiled surface until you have about a 12-inch piece of rope. When water has come to a boil, gently lower a few pretzel dogs into the boiling water. Boil for 30 seconds. Remove carefully, using a flat, slotted spatula. Place on prepared baking sheet. Brush boiled pretzels with beaten egg, and add coarse sea salt and fresh cracked black pepper. Bake until deeply golden brown, about 12 to 14 minutes. Transfer to a cooling rack for a few minutes before serving warm.